Canopy tents make a great addition to your outdoor space as it can serve so many purposes. It makes a great shade for camping or when you’re having a backyard party. It also allows you to host so many fun activities that will encourage your kids to play outside, far from their gadgets. A shade canopy can also be used to protect your car or other valuables from rain or too much sunlight. While you can readily buy a canopy at your local store, there’s nothing more satisfying than building your own. Canopies made from tarpaulin are sturdy, lightweight (which makes them so convenient to set up), and are way cheaper covers than commercially built canopies. With a few materials, you can make your own canopy in no time! 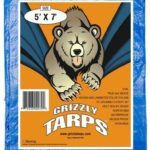 A good-quality tarp with grommets, the size depends on your canopy, blue tarps can be as small as 5’x7’ feet and as large as 30’x40’ feet tarps while the silver tarps come in sizes starting from 8’x10’ feet all the way to 20’x30’ silver tarps. Clear the area where you want to build the canopy shade. Spread the tarp flat on the ground. 2. Attach the poles to the corners. Place the 7-8ft poles at each corner of the tarp, fitting the end of the pole into the circular grommet of the tarp. Secure each pole with a rope. With help from another person or a family member, carefully lift the poles so that the tarp is held in the air. Ideally, you should have one person holding the pole at each corner. Yes, this is a teamwork and everyone in your family is welcome. 4. Secure the poles to the ground. Pull one rope towards the ground, away from the middle portion of the canopy. When the rope is already stretched, you can now attach it to the ground by hammering a tent stake and tying the rope to it. Do the same for all the other corners. 5. Attach the central pole. The pole in the middle will give the canopy shade better strength and support. This is where you will use the additional 8-10ft tent pole. Position the pole towards the center of the tarp and then push it upward to the desired height. Sink the pole to the ground as securely as possible. Tighten the canopy until the surface is smooth. 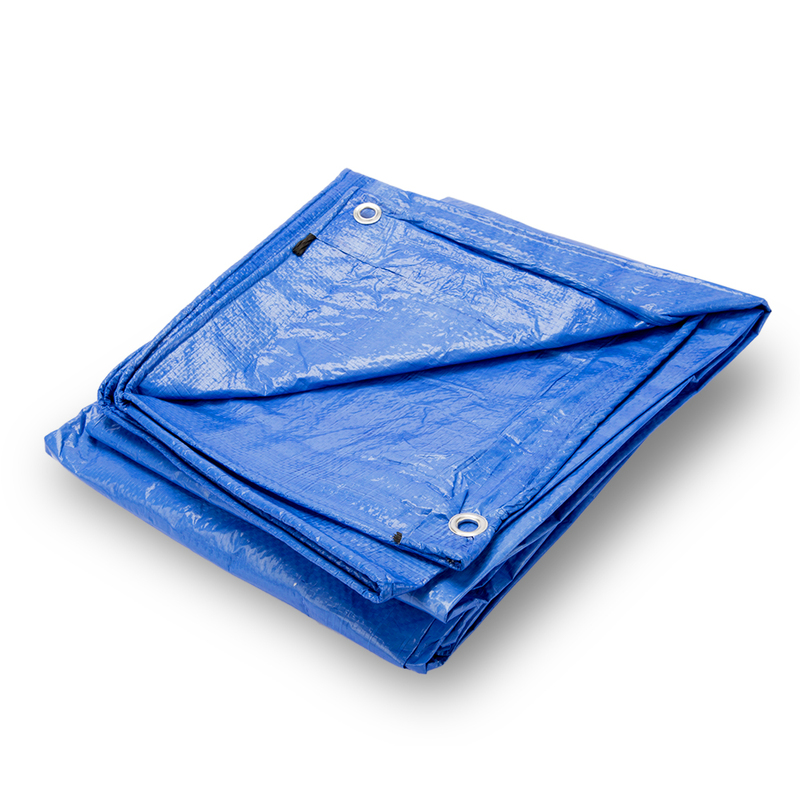 This ensures that no water or debris gets trapped on the tarp’s surfaces. The strength of your canopy shade is greatly dependent on how well you secured the tarp to the poles and how firm the poles were attached to the ground. 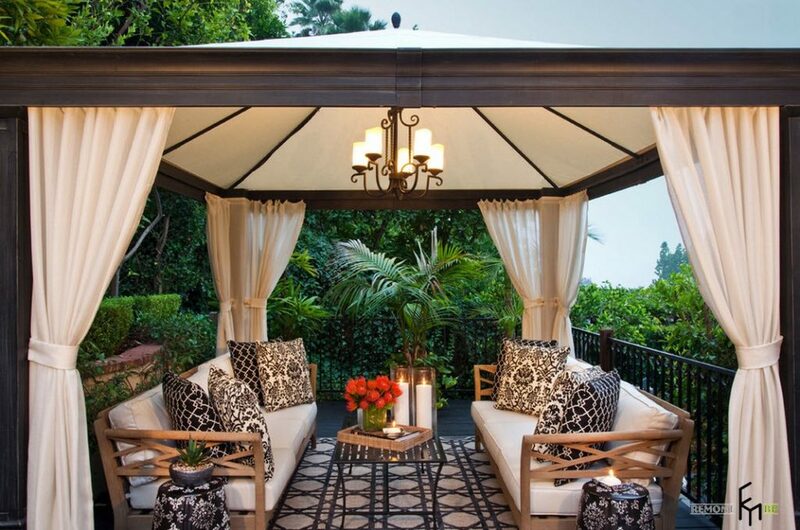 Now the even more fun part – spruce up your shade canopy by decorating it with a specific theme or design in mind. What makes outdoor canopies so great is that you can easily change the décor depending on the occasion. Install some lighting too so you and your family can hang out and have a great time under the canopy even in the evenings. Tarps come in various types, but choosing the right material is essential if you want your canopy to last for quite a long time and give you greater protection from varying weather conditions. For a canopy shade, you can use either silver or blue tarps. While blue tarps give protection from the rain, they are not UV Proof as silver tarp is. Thus, whenever you can, choose a silver tarp for your outdoor canopy. Poles are another important thing. You can use wood/bamboo poles or metal poles (which are more popular). 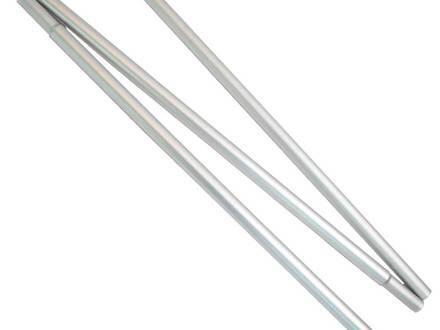 Stainless steel poles are ideal as they don’t rust. This is a good thing to consider because your canopy will be very much exposed to changing weather conditions. 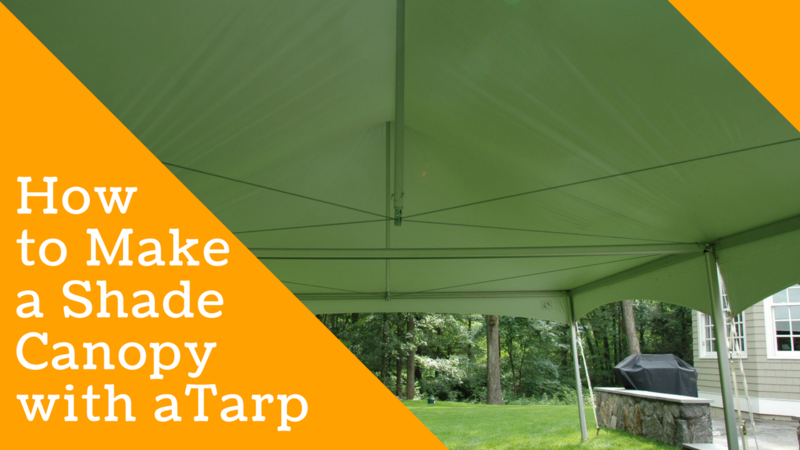 Building a shade canopy is a fun DIY project for the whole family. 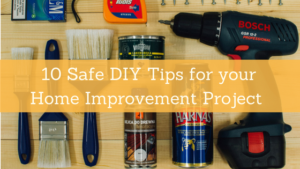 There are only few materials needed – a roof tarp, poles, rope and tent stakes – to get started. When building the canopy, always work with care and caution. Make sure to secure the poles to the ground for a stable and sturdy shade canopy.